In the fields below, please enter the sizes (WIDTH & HEIGHT) in mm, of each separate pane in Window 1, then the panes in Window 2 etc. NOTE: It is important that the glass pane dimensions are added individually and NOT just the window size. Pane sizes for additional windows can be added later. Please enter the size (WIDTH & HEIGHT) of each separate pane of glass in Window 1. If you want to add the pane sizes for another window please select Yes. If not, click on the Submit Measurements button. Please enter the size (WIDTH & HEIGHT) of each separate pane of glass in Window 2. Please enter the size (WIDTH & HEIGHT) of each separate pane of glass in Window 3. Please enter the size (WIDTH & HEIGHT) of each separate pane of glass in Window 4. Please enter the size (WIDTH & HEIGHT) of each separate pane of glass in Window 5. Please enter the size (WIDTH & HEIGHT) of each separate pane of glass in Window 6. Please enter the size (WIDTH & HEIGHT) of each separate pane of glass in Window 7. 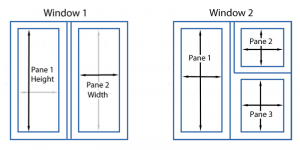 Please enter the size (WIDTH & HEIGHT) of each separate pane of glass in Window 8. Please enter the size (WIDTH & HEIGHT) of each separate pane of glass in Window 9.